Contributions to a key professional society has earned a McMaster materials engineer recognition from his peers. 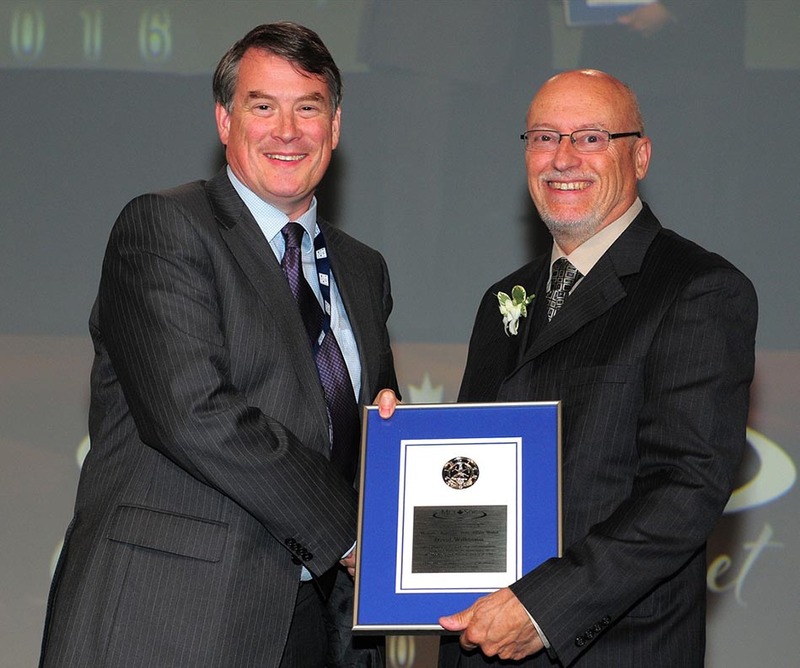 David Wilkinson, Materials Science and Engineering Professor, was awarded the Silver Medal from the Metallurgical and Materials Society of CIM during its annual conference in Quebec City on September 12. The medal recognized Wilkinson’s contributions to the growth of the society, which brings together industry, academics and government on matters concerning the metallurgy and materials sectors. Previously, Wilkinson was very involved with the society’s materials engineering committee and helped plan programming on numerous occasions for the annual conference. An accomplished researcher, Wilkinson’s focus is on creating stronger, lighter materials for the transportation industry, especially the automotive sector. His current work explores how lighter materials can be used in vehicles to make them more fuel-efficient and to enable electric cars to go farther on a single charge. Wilkinson, who was previously Dean of the Faculty of Engineering, said he finds the research rewarding.